Call us old fashioned, but we LOVE button suspenders! At SuspenderStore, we're proud to carry a huge selection of button-on suspenders you can wear for any occasion, from black tie affairs to rodeos at the ranch. Our inventory of all-purpose button suspenders includes a variety of solid colors, prints and patterns in a variety of fabrics so you can find exactly what you're looking for. We also have the world's best selection of high-quality leather button suspenders made with premium materials for that decadent, classic feel. Just like your favorite classic suspenders, button suspenders provide depth and intrigue to your formal and casual looks with the added texture of a traditional button-on attachment. Our top-quality, Y-back button suspenders make the perfect addition to your ensemble. SuspenderStore's inventory is packed with the patterns you love, including stripes, polka dots, checks, plaids, diamonds, argyles and more. Patterned suspenders with buttons are a top-notch choice for the suspender-lover who wants to introduce something new and exciting to their suspender-stocked wardrobe. 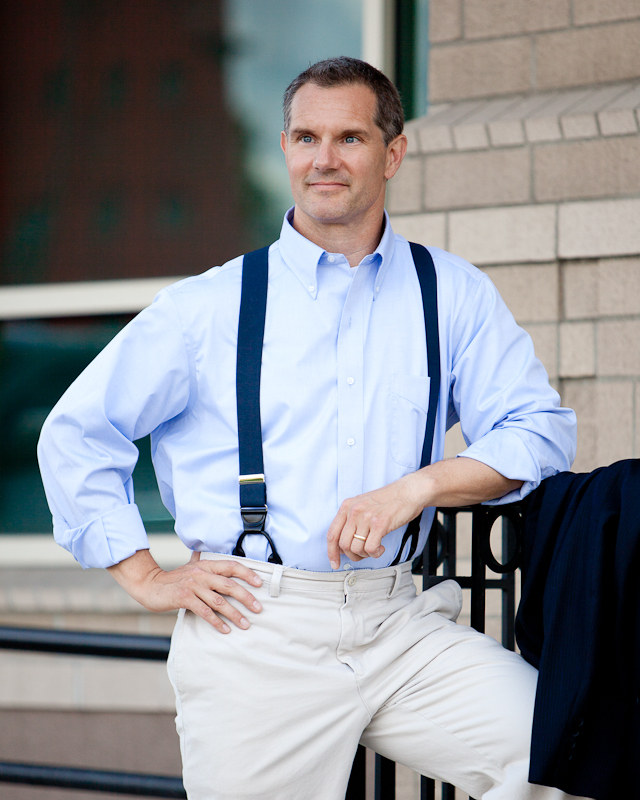 With our button suspenders, men and women alike will find something that speaks to their individual style! Most of our casual button suspenders will look great with anything from jeans to suits, but we also carry button suspenders in dressier materials like grosgrain, jacquard and silk for dressier occasions. Check out our Business and Dress Button Suspenders page to see our upscale button suspenders. We've got jacquard button suspenders, grosgrain button suspenders and traditionally woven button suspenders in a variety of sizes. Looking for tuxedo suspenders for your special occasions? Check out our Tuxedo Suspenders page for a selection of suspenders that add just the perfect touch to your formal attire! Many suspender-wearers prefer button suspenders for their added durability and their old-fashioned appeal. While they may not be as quick and easy to put on as more modern clip suspenders, there's something so charming about the look of a great pair of button on suspenders, which is why they're a great choice for wear with your tuxedos and formal suits. If you want to create a perfectly put-together look for business or casual wear, SuspenderStore's high quality button suspenders are great accessories. We carry a wide selection of old fashioned suspenders with button attachments in multiple styles and colors, from eye-catching paisley patterns to traditional, Western-inspired leather options. Our thin, solid colored options are ideal for daily wear, while silk dress suspenders look truly elegant when worn under a tailored suit or tuxedo. Shop our entire selection of button braces to find stylish, great fitting options at some of the best prices available online.